Cleaning your house will never be tedious and time-consuming again after seeing these 8 brilliant cleaning tips and tricks. These tricks come handy especially when it comes to getting ready for guest to come over and make your life so much easier even during spring cleaning time. Given they will save you a lot of time, you can use that time to do other activities which you enjoy. After all who enjoys cleaning! 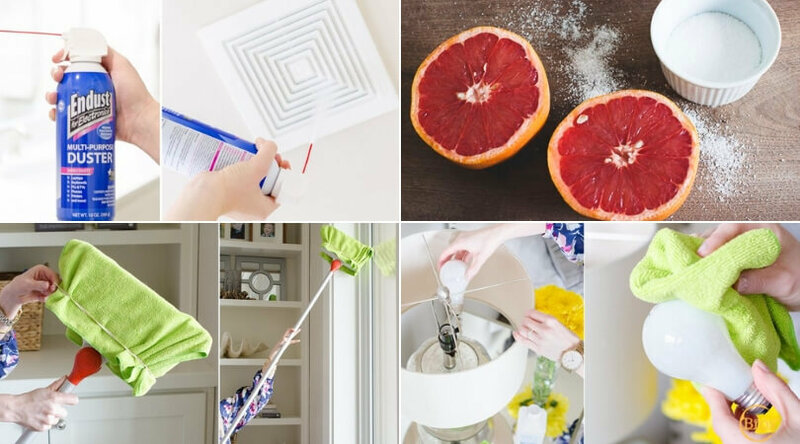 So check out these 8 genius cleaning tips and tricks that I’ve found from awesome bloggers below, and be sure to take a look at the tutorials on the original page! Exhaust fans are something which you may not think to clean often but they can get seriously dusty. 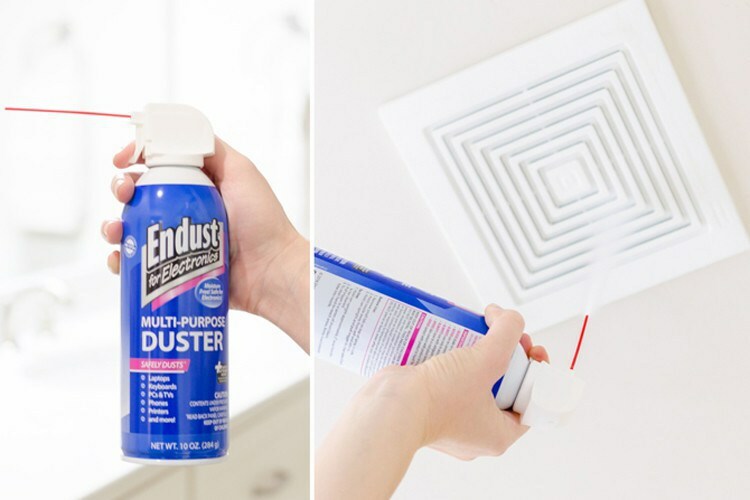 But with canned air, it’s easy to blow off and get rid of dust fast and easy. Then just vacuum any dust that may land on the floor. It’s really a pain to clean high and hard to reach places. 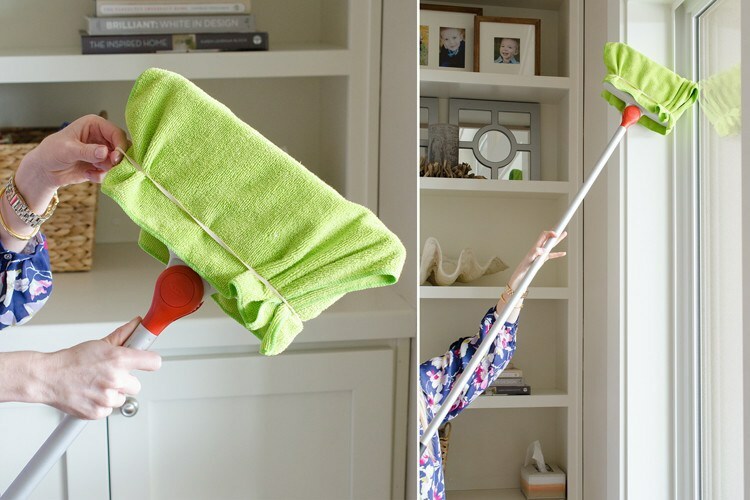 But this genius hack makes cleaning them easier than ever. Just attach a microfiber cloth to a broom with a rubber band and now you can easily clean hard to reach places without straining yourself. 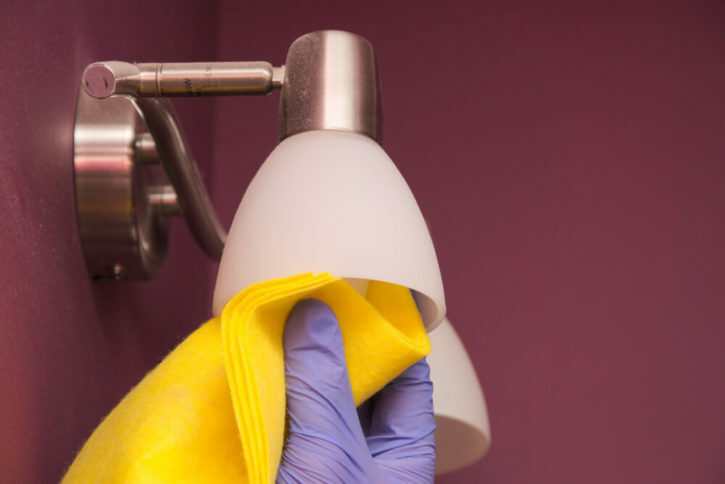 Light bulbs are another thing which a lot of people forget to clean while dusting and end up having dimly lit rooms. So, when you are dusting make sure to get the bulbs so as to have a properly lit room. 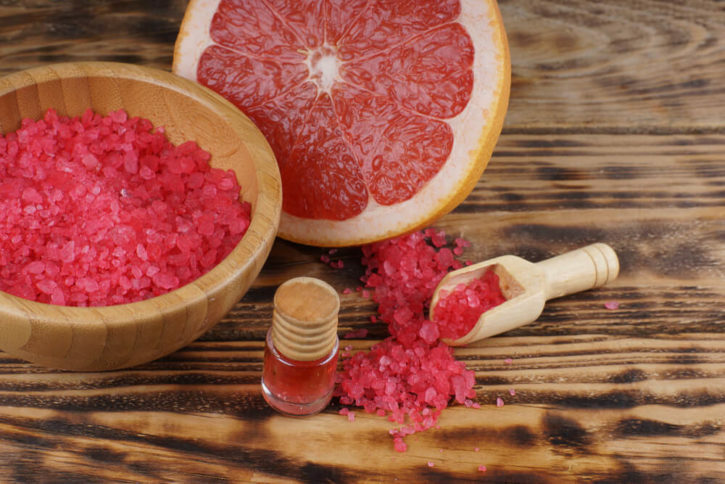 An easy and faster way to get rid of soap scum is cleaning it with a halved grapefruit and salt. The citric acid and the rough salt will react with the soap build-up and get it up right away! 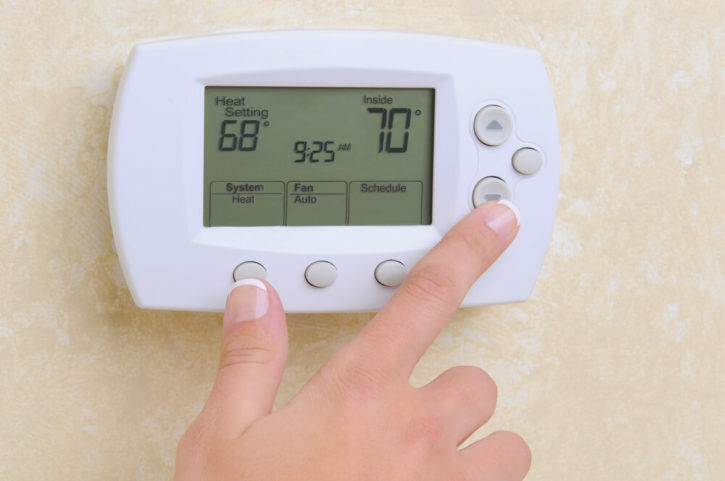 A brilliant cleaning tip to make dusting easy is to turn on the AC while dusting. What’s the benefit? If AC is turned on while dusting, any floating dust particles that get knocked up into the air will be sucked into the filter, and leave you with cleaner air to breath. Everyone knows vinegar is a natural cleaner but it’s after smell is not pleasant. No more! This scented cleaning vinegar is a perfect solution to make the vinegar smell pleasant without losing it’s cleaning prowess. The plus point is all natural ingredients are used in this which make this vinegar cleaner 100% natural cleaner. This tutorial will show you how to make a nicely scented cleaning vinegar. Definitely worth the time! Need more vinegar cleaning hacks, you would also love these clever vinegar cleaning hacks. 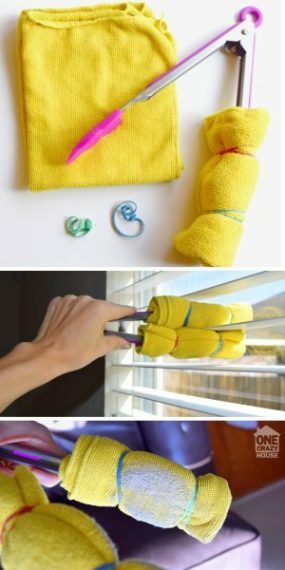 If your feather duster is not able to clean the window blinds properly, then wrap tongs in a microfiber cloth and use them to have your blinds get rid of dust and dirt. A brilliant way to make sure your clothes come out of laundry smelling and feeling fresh every time is to try this tutorial for creating reusable lavender laundry sponges. Definitely, a genius way to make your laundry smell amazingly good! If you like these cleaning hacks, please share it! Now if you have any questions on cleaning hacks and tips, let me know in the comments down below!